In an effort to clean out our fridge before the big move, I decided to do a Kebab for dinner. What better way to use the mix matched contents of our fridge?! I have made this Garlic Mustard Glaze many times before, and it tastes soooooo good on any meat, so try it out and decide for yourself. Also, I upped the amount of garlic since I really like the garlic to shine through a little more. Whisk together all ingredients in a medium bowl. Reserve 1/4 of the glaze to baste your skewers with as they grill. Take the cubed meat of your choice and throw it in the bowl with the remaining glaze and marinate at least 30 minutes. You could marinate it overnight as well. 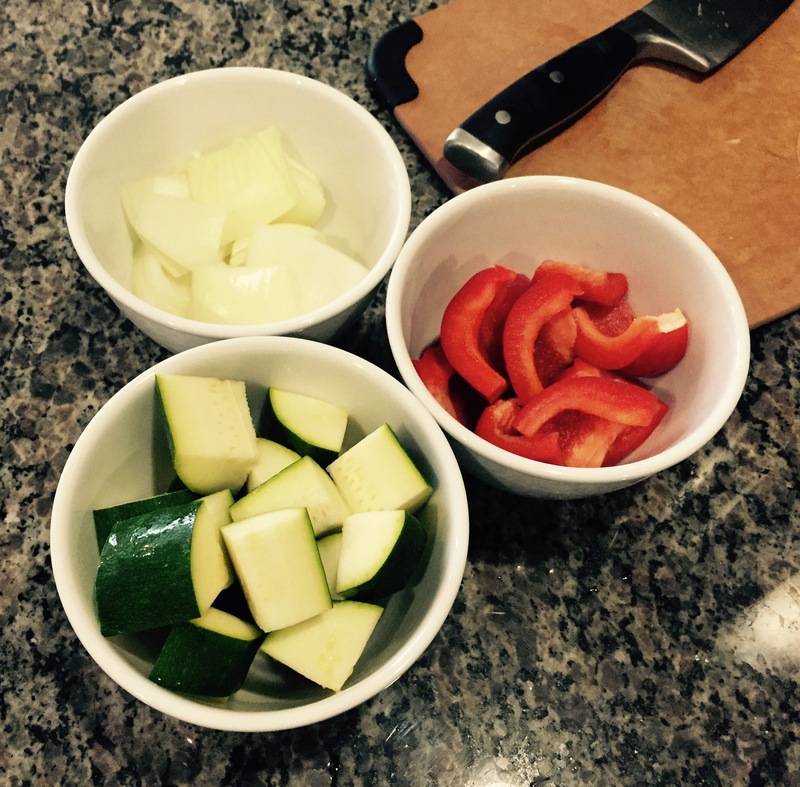 Tonight I opted to use chicken and found some Sweet Yellow Onion, Red Bell Pepper and Zucchini that I thought would be a nice accompaniment. 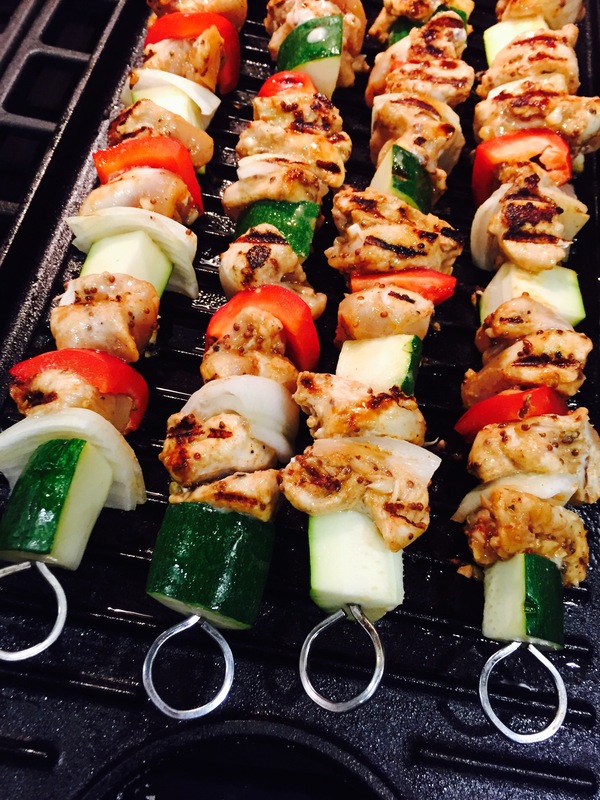 I then tossed the veggies in 2 tablespoons of olive oil and then skewered my meat and veggies together. We currently don’t have a grill, so I used my cast iron griddle plate. 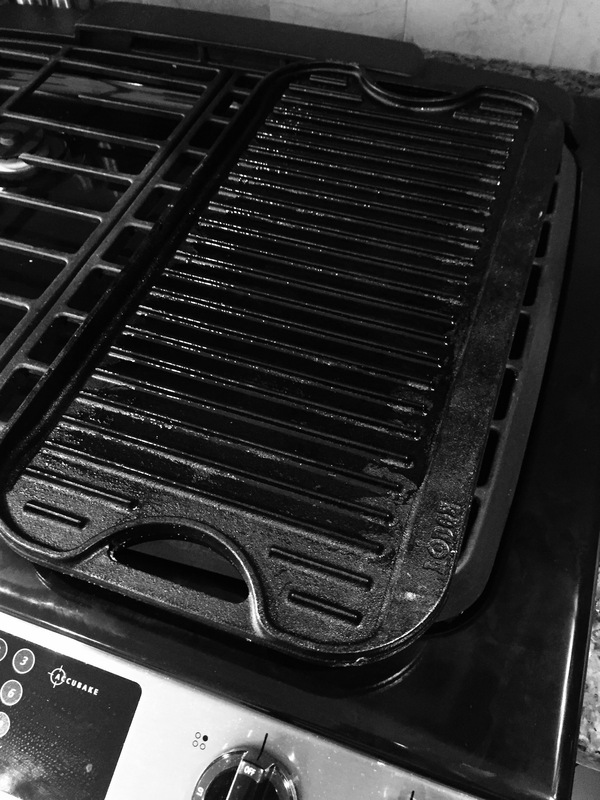 It works great and my food comes out with beautiful grill marks. For the skewers, I used my metal ones, but remember if you use wooden skewers, soak them in water before putting your meat or veggies on so that they don’t burn on the grill. Once I placed my skewers on the griddle, I tented the griddle with foil, just to keep the heat in. I did 3-4 minutes on each side for the chicken (if using beef, I would do 2-3 minutes on each side.) and basted with the reserved glaze as I turned the skewers.